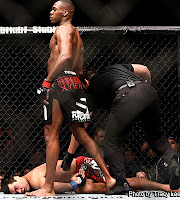 Is Jon "Bones" Jones Unstoppable in the UFC? | MMA Fighting Events Videos Techniques UFC Fight Picks and News. Remember Joe Rogan, in awe and without reservation, telling us all, "Ladies and gentlemen, welcome to the Machida era!" You member. Member? Where is Lyoto Machida now? In his last four UFC fights he is 1-3. He was supposed to be unbeatable. His elusive style combined with his great takedowns and impossible to figure out striking was supposed to keep him at the top of the UFC light heavy weight division for a long time. But Lyoto is not the only fighter saddled with unrealistic expectations. Jose Aldo was also supposed to be unstoppable. Why not? After all, Aldo was bludgeoning fighter after fighter. But, even though he has not lost in over six years, he has gone the distance in three of his last four fights. In his fight against Mark Hominick, he made Hominick's forehead look like it was getting ready to deliver. Yet Aldo could not put Hominick away. In fact, in the fifth round it looked like Hominick might pull out the win. In other words, he has looked human again. How about Miguel Torres? He looked like he was an immovable object. Now he has lost three of his last six fights and was lackluster in his latest fight, doing just enough to get a unanimous decision against Nick Pace. How ordinary has he been? The UFC took advantage of an idiotic joke that Torres tweeted to send him packing. Not only is he not invincible, he is now looking for a job. Urijah "The California Kid" Faber was electrifying, unpredictable, creative. Now he is 5-4 in his last nine fights. Fedor "The Last Emperor" Emelianenko was, well, he was the Russian version of the Terminator. He now has one victory in his last four fights (a listless fight against Jeff Monson) and was cut from Strikeforce. Who would have believed that was possible a couple of years ago? Then we have Georges "Rush" St. Pierre aka GSP and Anderson "The Spider" Silva. These two men are at the top of just about everyone's pound for pound list. But even these two fighters have their blemishes. They have six losses between them and have looked unremarkable in some of their fights. GSP likes to play it safe and keep his belt. Six of his nine fights, since losing to Matt Serra, have gone the distance. And The Spider, with all his abilities and talents, is not a true fan favorite, with all his cage clowning and his seemingly lack of interest and respect for his opponents. He even came close to losing his belt when Chael Sonnen worked him for five rounds. If Sonnen had played it safe in the last few minutes of that fight, he might be the middle weight champion. And then we have Jon "Bones" Jones! At just 24 years old, he is already being mentioned as possibly going down as the greatest fighter of all time. He had arguably one of the greatest years in MMA history. He beat Lyoto Machida, putting him to sleep with a standing guillotine. He took Quinton Jackson down at will and got him to tap out. He pummeled Mauricio Rua. He choked out Ryan Bader. And, what was even more impressive in that fight, he made the two time Division 1 All-American pull guard. Jones has the type of striking that will baffle and vanquish any light heavy weight adversary. His takedowns and takedown defense are an unimaginable anomaly. His submission are superb beyond reproach. Did I mention that in this year, the year that most people are calling the greatest MMA year ever, he choked out three of his four opponents? Will Mr. Bones go undefeated in his UFC career and go down as the greatest of all time? Is he actually a Greek god? Is he worthy of all the hyperbole? Who knows? Only time will tell. 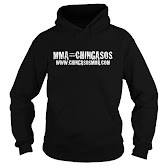 But for now Jon "Bones" Jones is definitely "el mas chingon" in the UFC!